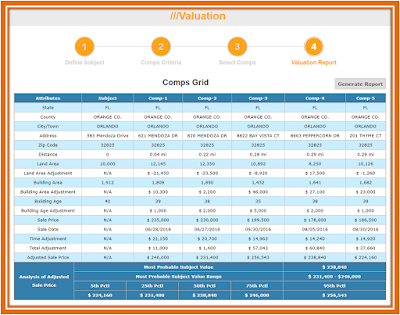 An educated and informed researcher is capable of optimizing (define, score and rank) a pool of comparable sales ("comps") using a set of meaningful criteria and selecting the five best to value a subject. In order to illustrate the point, let's create a pool of up to ten best comps within a 2 mile radius of the subject, constraining all three characteristics variables - Land, Bldg and Age - to 25% range, as well as time adjusting all incoming sales at 6% annual (.5% per month) growth. 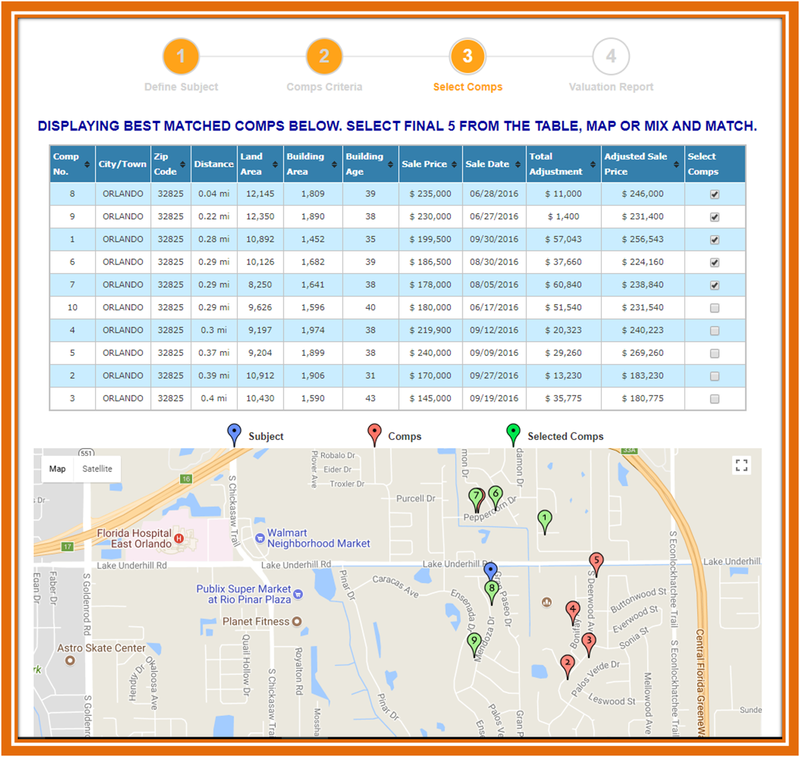 Once the pool is created by the scoring algorithm using the criteria set forth above, let's select the Five Best comps (closest distance has been used here to evaluate the pool), leading to the final five. 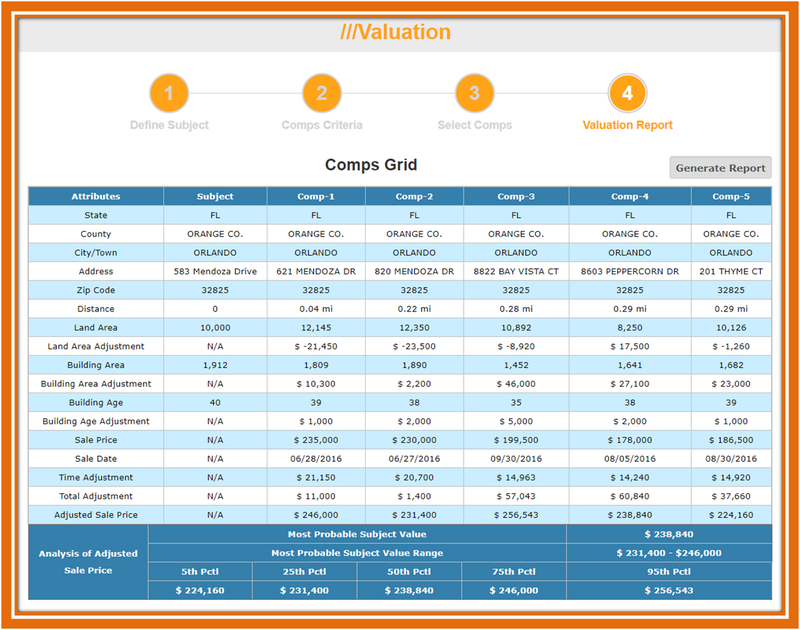 Now, let's take a look at the Comps Grid to understand how a researcher would interpret the final value. 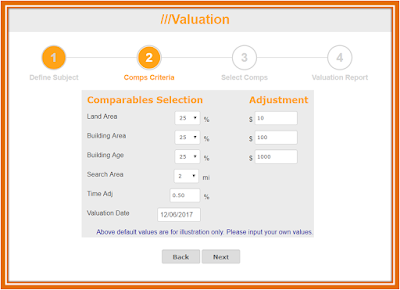 While the most Probable Value is the Median Adjusted Sale Price (ASP), the 25th to 75th percentile Range offers the most Probable Value Range for potential home buyers, although an investor might consider a lower value range, say up to the 25th percentile, while a buyer bent on outbidding the competition might consider a more lax value range, say the 75th percentile and above. 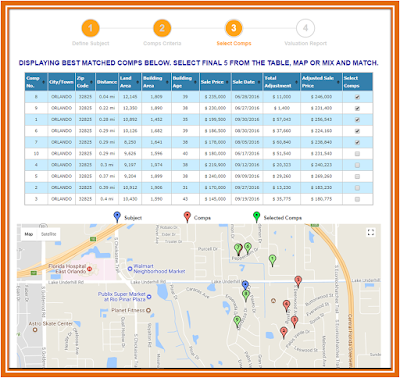 I picked the above tables and spatial graphics from Homequant.com as I own and operate it, to avoid having to deal with any copyright issues. My Homequant site is totally self-directed (no modeled values), totally free (no strings), and requires no login or registration whatsoever. Note: All adjustments in Homequant are linear. In Automated Valuation Modeling (AVM), non-linear adjustments (due to the nature of their contributions) are generally used via non-linear regressions. 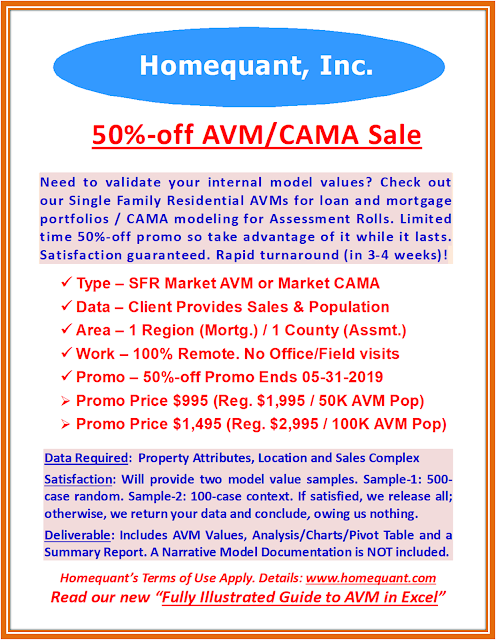 If you are trying to learn AVM or understand how to make advanced non-linear adjustments to your model, please check out my recent book on AVM "An Illustrated Guide to Automated Valuation Modeling (AVM) in Excel..." on Amazon.